FRESNO, Calif. (KFSN) -- In just a few weeks, thousands of Valley kids will be packing their bags and heading off to college. 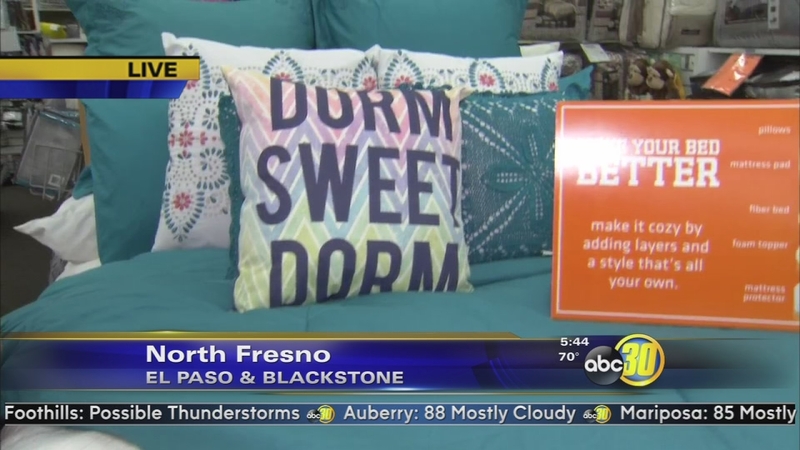 Bed, Bath and Beyond employees say in North Fresno they've had an increase of parents and students looking for dorm items. They say first, learn what your school rules are so you don't bring or buy any unnecessary items. Try and stay organized and on budget by using a checklist. They say rooms are smaller, so you'll need a lot to maximize what little space you have with storage hangers or holders. The bed is the focal point of most rooms, so it's important to get it outfitted the right way. They also say the bed is the focal point of most rooms, so it's important to get it outfitted the right way.